Thanks to all that entered our giveaway! The random number chosen was #2! Congratulations to Kathy Ruggiero! I love the colors and design the best! 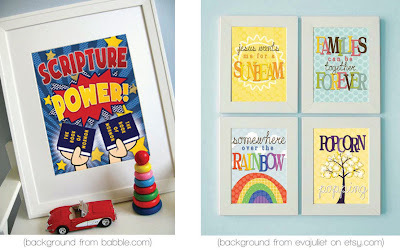 What cute posters to hang on a child's bedroom wall! What I love best about the planner is having everyone's "to do's" available at a glance. It helps me better track what the whole family is doing and not get double-booked! 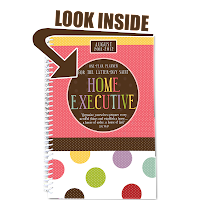 Hi I'm Karalee's sister, and I loved the stickers and color tabs for each month! Just wondering when you'll be offering the 2012-2013 edition. I'm going to give it a try! Oh my gosh I just can't get over how cute this planner is. You can't go wrong with polka dots and scallops! I am in love with how each column is broken down and it fits my lifestyle! So glad Lovely Little Snippets introduced me! These are so cute!!! 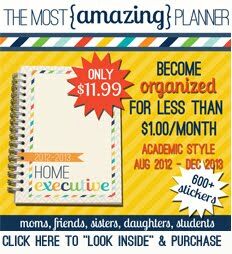 Would definetly help with my organization!!! First of all, love the little Caesar's comment. Awesome. I also love your planner! It is so ridiculously cute. My favorite part is the separate columns for everyone's to-dos. I also like the menu planning/grocery list. Cute!! Found you on lovely little snippets--love the planner! What a great design! I LOVE this planner! Just ordered one for myself for mother's day:) Found your blog thru Rebecca Cooper's blog - so glad she posted this! I ordered one from Rublee Lane on August 25, 2012. When can I expect to receive it? I am anxious to start using it since the academic year has started. Thanks! I ordered this many months ago and have still not received the planner or any comments on all the websites I have left comments on. Am I ever going to get this planner or was it just a hoax and I am now out the money I paid for it? Helen your I just tracked your order. As of September 11th, it was in RIchmond, CA and is expected to be delivered on September 19th. Let me know if you don't receive it by then. I will also send you an email. Sharalee, I can't look up your order with just your first name. I need your email address and/or last name. Please go to the top of my blog and click on "CONTACT" and send me a message with your information. I get tracking on every planner sent. Let's look further into this. You should have received it by now. I ordered mine last night! I'm dying to know when I'll get it! It looks like just the thing I've been looking for! Thanks! I love how functional the planner is, and how cute it looks. Come visit my blog to win one of your own!